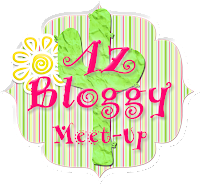 Confessions of a Teaching Junkie: AZ Bloggy Meet-Up! If anyone wants to carpool from the northwest valley, just let me know! Oh good I can come now! I am out of town and would've missed the last one. I live in west Phoenix around Avondale so we could carpool if you want!